Ministry is warfare. Sunday services, reading, sermon prep, visiting the sick, staff meetings, counseling, conflict, our flesh, and the flaming darts of the evil one make ministry a slog. How can we make it? How will you stay faithful in ministry, not just through this year, but through the next 25? Do you have 40 years left on your tires? You don’t have to burn out or spiral out from hidden sin. God has a way for you to make it. 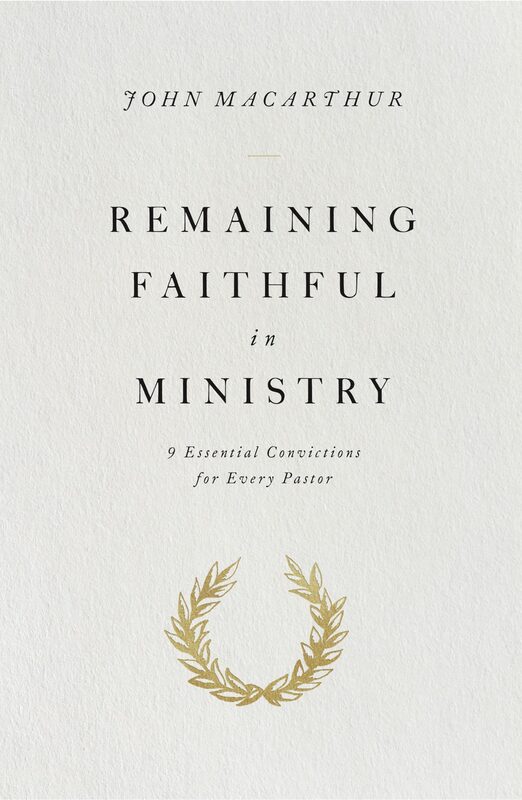 In his new book, Remaining Faithful in Ministry: 9 Essential Convictions for Every Pastor, John MacArthur guides pastors through nine convictions held by a minister of the gospel who remained faithful till his martyrdom in Rome. Paul, after Jesus, is the perfect case study for endurance in ministry. I’ve never been whipped for the Word made flesh. Has anyone reading this review been pelted with rocks for preaching Jesus? Once I had a flight delayed on the way to Thailand for a mission trip—not quite the same as floating around in the sea. I’ve never faced a legitimate danger in ministry; a cranky church member is as bad as it gets. What pastor among us has ever skipped a meal because we gave that line item in our budget to the poor in our city? Brothers, compared to Paul, we have cushy callings. Convictions are the calories every pastor needs to keep running the race. But there is at least one thing in Paul’s list that every faithful pastor understands: concern for the church. Paul agonized over the saints and their walk with Jesus and their mission in the world. Add this super-charged concern into the mix of the holy and hectic week of pastors, and we can teeter. So how did Paul remain faithful, with even heavier burdens and wounds on his back? Crossway (2019). 80 pp. $9.99. Perhaps no one else has ever faced as much hardship, opposition, or relentless suffering as the apostle Paul. And yet, through it all, Paul stood firm in Christ and remained faithful—to the end. The power of Paul’s example has captivated veteran pastor John MacArthur for years, and here he outlines nine unwavering convictions that contributed to this remarkable perseverance. In an age when pastoral failure and burnout are increasingly common, this book is a call to endurance in ministry, encouraging pastors to stand strong in their role and not lose heart, regardless of what God sends their way. MacArthur walks readers through nine convictions from Paul in 2 Corinthians 4, showing how these truths can help you endure in whatever ministry the Lord Jesus has given you. If these convictions propelled Paul forward, they can do the same for every pastor today. You can’t merely know these things. You must be convinced of them. They can’t be in your theological file cabinet. They have to be in your coffee. Ingested. Absorbed. Energizing you for the next pastoral task and the subsequent suffering. Convictions are the calories every pastor needs to keep running the race. The Holy Spirit takes these truths and puts them to work in our lives. If you’re convinced of the superiority of the new covenant (ch. 1; 2 Cor. 4:1), then you know and act on the truth that you are made righteous in Christ. Preaching great sermons doesn’t make you righteous. Making church members happy doesn’t increase your standing before God. Just Jesus. Your stability and peace can’t come from attendance or giving numbers. Be convinced of the new covenant. If you’re convinced of the need for a pure heart (ch. 3; 2 Cor. 4:2), then you’ll pursue holiness and not just preach on it. You’ll make disciples, live as a disciple of Christ, and not disqualify yourself. Brother pastor, turn from sin and turn to Christ; let the headlines remind you that sin won’t go undiscovered by the Light of the World. We’re Amazon boxes. We deliver the good news, finish our course, and then we are folded up, forgotten, and the faith once for all delivered to the saints keeps going. The full sense of these convictions won’t hit while you are reading this short book. You’ll feel them long after you’re done reading. The next church discipline issue, or the next leadership conflict, or the next cancer news in the church: that’s when these convictions will strengthen our resolve to keep looking to the Chief Shepherd. Conviction after conviction, MacArthur shows exegetical insights connected to Paul’s persistence as ways pastors can stay faithful to Christ, Christ’s Word, and Christ’s church until Christ himself summons us home. These nine convictions helped John MacArthur make it 50 years in the same church. Maybe, by God’s mercy, they’ll do the same for you and me.